How does money influence state, local and national elections, especially since the Supreme Court’s Citizens United decision in 2010? The League of Women Voters of Kitsap will take up this subject with four guest speakers at a public meeting Thursday, Nov. 19, from 6:30 to 9 p.m. at Poulsbo City Hall, 200 NE Moe St.
– Katrina Asay, chairwoman of the Washington State Public Disclosure Commission. 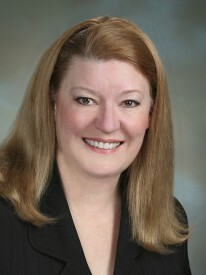 She is a former member of the state House of Representatives and former mayor of Milton in Pierce County. – Lori Anderson, communications and training officer for the PDC. The commission maintains a database of registered candidates, political committees and their campaign contributions and expenditures. – Dean Nielsen, principal of Cerillion N4 Partners, a political consulting firm. He has worked on more than 1,000 campaigns in 34 states and five foreign countries. – Serena Larkin, a senior communications associate with Sightline Institute. She was a member of the communications team for the Honest Elections Seattle campaign. The meeting promises a lively discussion about a timely issue affecting political campaigns at all levels. Please plan to attend and bring a friend. This event will be recorded for future broadcast by BKAT, Comcast Ch. 12 and WAVE Broadband, Ch. 3. Information: Visit our website, lwv-kitsap.org, or e-mail Kim Abel at kbabel@wavecable.com.